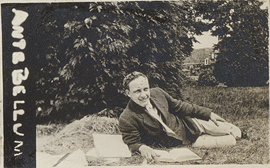 Emile Hohman lying on grass studying, photograph. 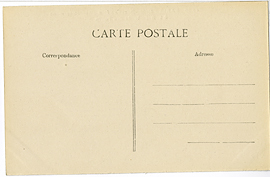 Envelope, Sussex, Mar. 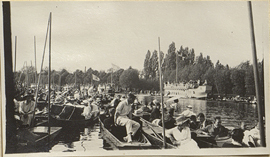 24, 1916. 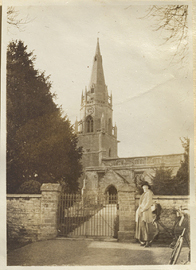 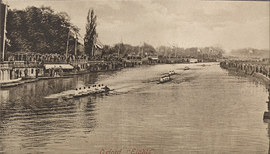 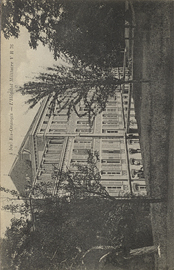 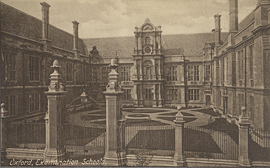 Exterior of 4 Bis: Ris-Orangis, Military Hospital V.R., 76, postcard. 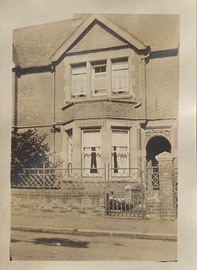 Exterior of 44 Oakthorpe, photograph. 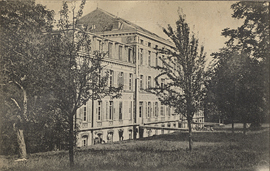 Exterior of Military Hospital V.R. 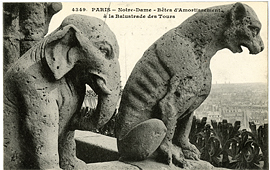 76, postcard. 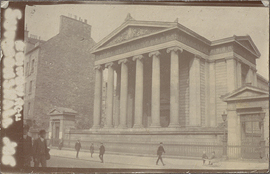 Exterior of Surgeon's Hall, Edinburgh, photograph. 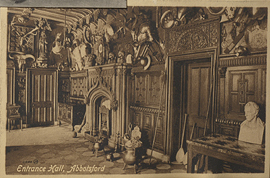 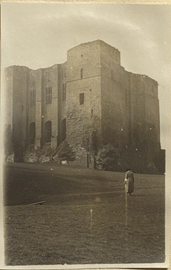 Exterior of the Great Tower of Kenilworth Castle, photograph. 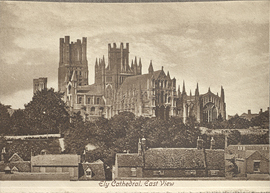 Exterior of the Peterborough Cathedral, photograph.